A year ago a small group of individuals from both sides of State Line Avenue in Texarkana began meeting with a simple idea, “That we all can do better if we will all work together”. There was nothing special about this collection of individuals. They did not possess any special insight or training nor do they claim to have the hidden answers to our many challenges. They easily could have been a half dozen or so individuals sitting in any Texarkana park or coffee shop discussing the issues of the day. There was, however one difference with this group, they collectively decided to take action on their conversations because our communities, our citizens and most importantly our future depends on the mutually supportive actions of our leaders. Through these discussions the concept of Leadership Initiative for Texarkana (LIFT) was born. LIFT was developed as a venture of Leadership Texarkana to encourage, support, motivate and inspire our greater Texarkana community leaders to rise up beyond their differences and competitive spirits and commit to working together for our collective future. The LIFT challenge is to take these words beyond the politically correct discourse and philosophical banter into everyday life and critical decisions facing our community leaders. LIFT is active today for two clear purposes – to make partnership the normal operating procedure for addressing community challenges and future plans and to facilitate transformational change in the way everyday business is conducted for the citizens of both Texarkanas. To accomplish this lofty goal and change in operational paradigm for our greater community, Leadership Texarkana through LIFT designed and agreed to fund a community planning retreat involving the elected leaders of the two Texarkanas. This retreat will be facilitated by outside, neutral consultants skilled in enhancing intercity communication and cooperation. In support of this effort hundreds of community organizations and individuals have signed on to the LIFT vision ranging from the local school boards to the Chamber of Commerce to individuals committed to a better future for our children and our community. I encourage you to become a part of this crusade to make Texarkana a better place to live, work and raise a family through an expanded commitment to partnership and collaboration between the two Texarkanas. This initial venture of the LIFT initiative is directed at enhancing the collaboration skills and partnership commitment of our city leaders. There is no single issue or particular agenda that the LIFT initiative is attempting to address. The goal of the LIFT sponsored community leadership retreat is to simply equip our community leaders to better partner with each other in addressing our challenges. John Quincy Adams once said “If your actions inspire others to dream more, learn more, do more and become more, you are a leader”. We all must grow and learn each day to improve our capacity to lead and serve. LIFT is simply an effort to help our elected officials to become better leaders. Please consider joining LIFT, the Leadership Initiative for Texarkana. Remember a rising tide raises ALL BOATS. C. B. ”Bix” Rathburn, Ph.D. is a local individual committed to LIFT and currently serves as the Special Assistant to the Vice Chancellor of Academic and Student Affairs for the Texas A&M University System. 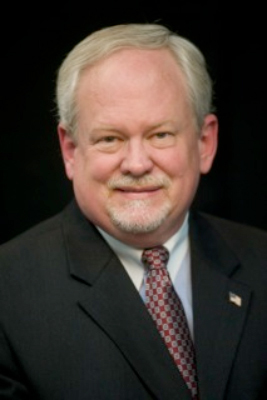 Dr. Rathburn has over 30 years of higher education leadership experience including seventeen years as a college or university president in Texas and Georgia. Comments on "LIFT: A Small Group of Thoughtful, Concerned Citizens"